I could do nothing but post about chicory. Here it grows up to about four foot high. I am not the only one who loves it. Though my admiration does not extend to bathing in its pollen. There's a lot of blue and pink and purple around at the moment. The sky switches between blue and grey. If you look into sun-glare, it looks quite dramatic. this view stays much the same through the year. This is looking up to where these plants grow. I'm pretty much alone . . . but not quite . 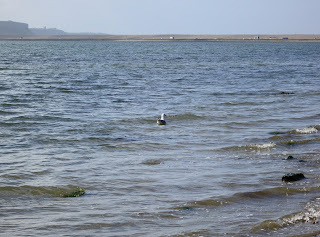 . . look behind me and a solitary herring gull swims away. Fabulous blues indeed, and superb photography! 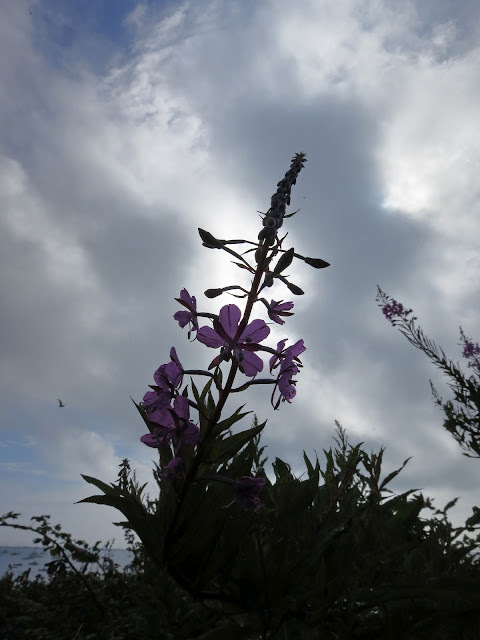 When chicory begins to bloom here, I know its almost my parent's anniversery. Love it. Or love to hate it, not sure which. I too am a fan of Chicory, never saw it before down on the coast, but here it lines the roads. What a stunning color, one of my most fav. Love your perspective shots, very interesting. One of my favourite flowers so I grow it on the plot! I love the colour of chicory, we had a huge plant of it when we had our allotment in Wyke and it always popular with the insects. 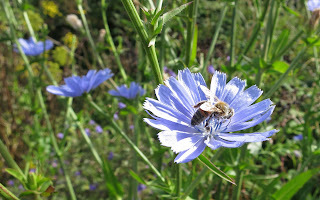 Lovely - I once saw chicory growing wild in Romania, sheets and sheets of blue. It's a sight I've never forgotten. For me the nicet blue of all is when it's in the sky! 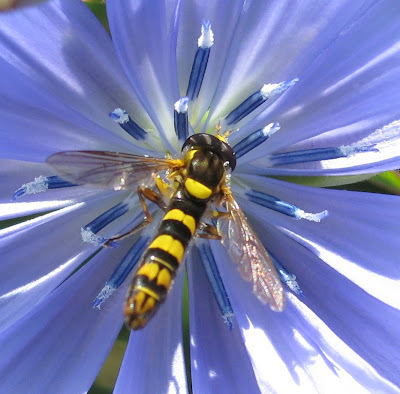 Beautiful photos, I love the hoverfly on the chicory. Such a delicious shade of blue too. 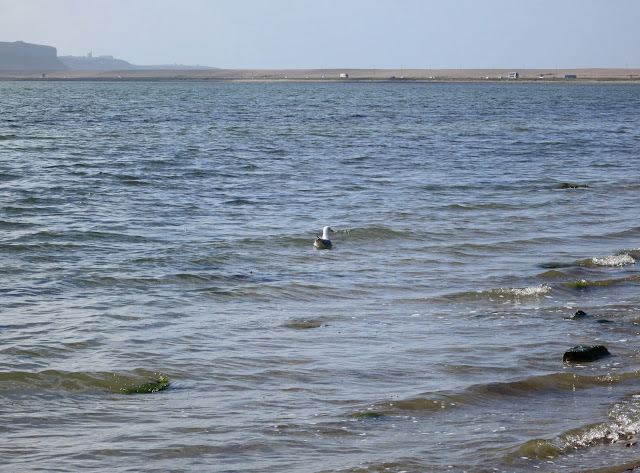 Gorgeous pictures, as usual Lucy.